How do we know that facts are not just opinions? 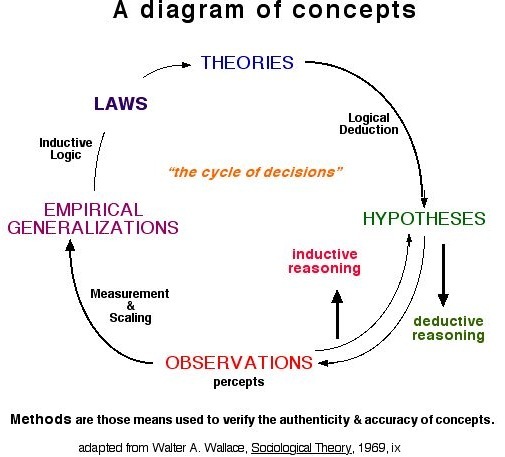 Methods are a means or a way to conduct research to establish the veracity or authenticity of facts. Methods and methodology refer to a process of investigating findings. An investigative process by which facts are subjected to scrutiny. Where the scrutinizing of the evidence based on substantiated facts can be placed in a larger context. Where meaning arises from scrutiny of the facts and a reflection on the context such that meaning is more certain than not. The outcome of the investigate process to tease certainty from uncertainty --when evaluated-- may uncover inconsistencies or contradictions that lead to new theories. How accurate is a concept? Press on the icons to go to these pages. revised on July 30, 2007.